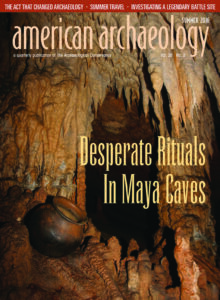 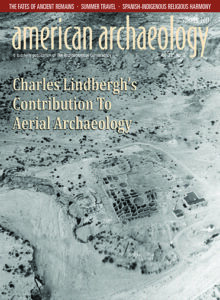 American Archaeology is the only popular magazine devoted to the excitement and mystery of archaeology in the United States, with additional coverage of Canada and Latin America. 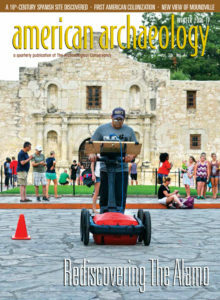 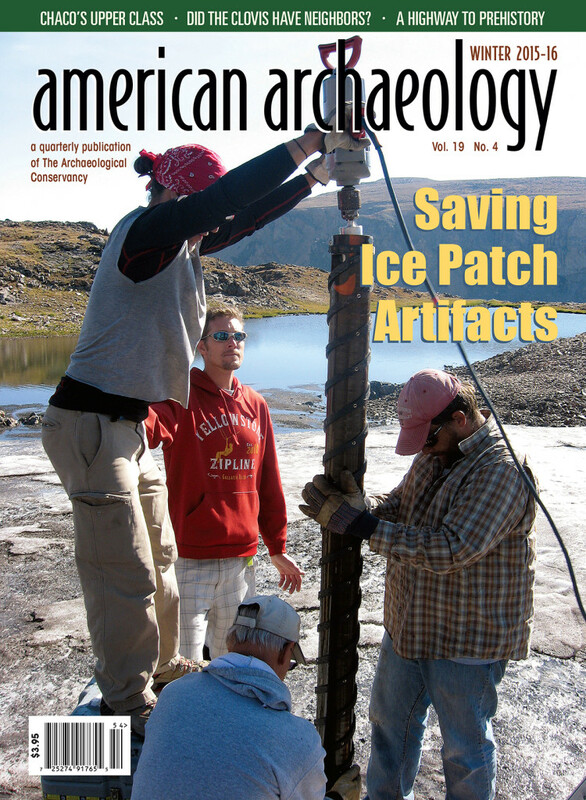 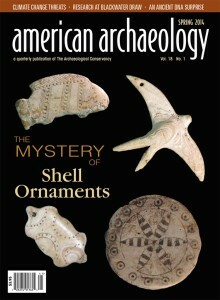 In four issues each year, American Archaeology’s colorful features and departments present the research breakthroughs, persistent puzzles, and unique personalities making news in this fascinating field. 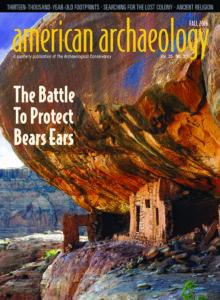 Published by The Archaeological Conservancy, American Archaeology magazine showcases some of the nation’s finest writers and photographers in a beautiful design, tailored for a layperson audience. 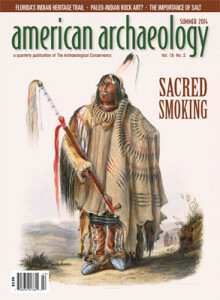 Readers explore the prehistoric world of North America’s earliest inhabitants, the historic past of modern-day cities, and everything in between. 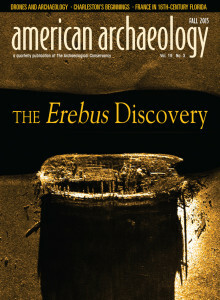 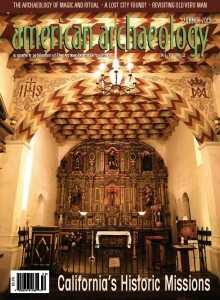 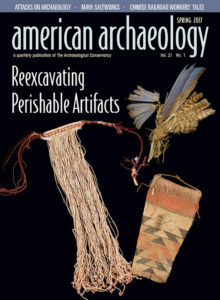 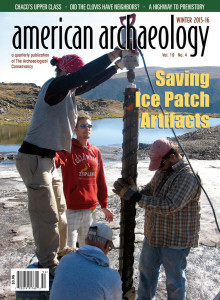 American Archaeology also reports on the Conservancy’s activities and the preservation cause nationwide. 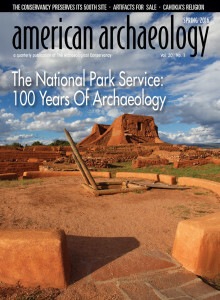 Become a Member Today & Start Your Subscription ! 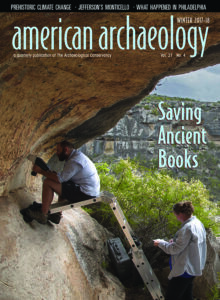 American Archaeology is available on Newsstands and local Bookstores, subscriptions are available by becoming a member of the Archaeological Conservancy. 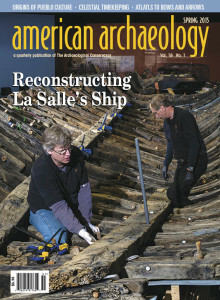 Viva La Belle: Reconstructing La Salle’s Ship. 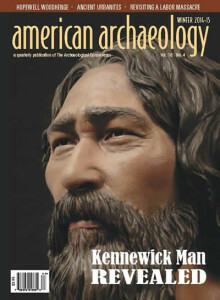 COVER: 8,500-year-old skeleton known as Kennewick Man- This sculpted bust is their interpretation of what he looked like. 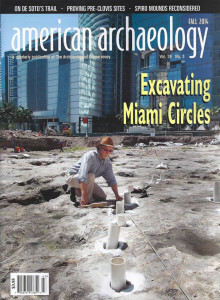 Archaeologist Robert Carr sets PVC pipes into postholes at the Miami Midden 1 site. 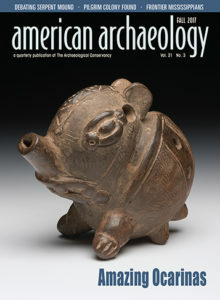 Carr and his colleagues use the pipes, which they ring with baseball chalk, to emphasize the cite’s circular and linear features for photographic documentation.